Sakshi Batra gets in discussion with Ravi Krishnan, Deputy Executive Editor, Moneycontrol to understand the extent of success of demonetisation. November 8, 2016, Prime Minister Narendra Modi in a shocking move, announced withdrawal of Rs 500 and Rs 1000 currency notes from the system. Some economists criticised while others lauded the bold move taken by the government to curb black money. 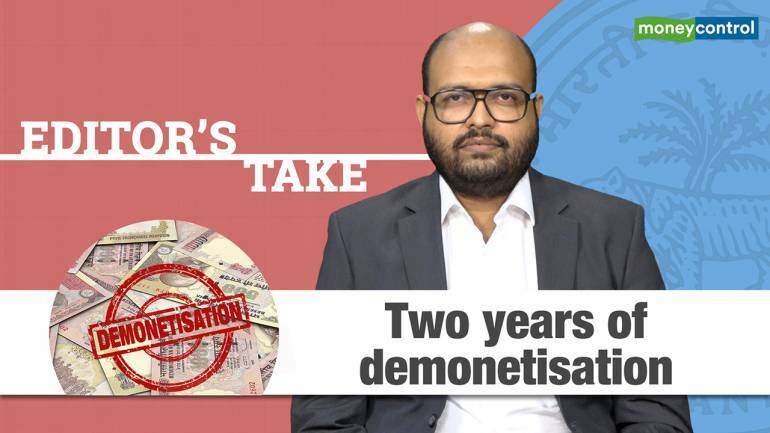 Two years on, has demonetisation changed things on ground?